Brand awareness! What is it and what does it mean to your company? Before a customer relationship develops, prospects need to have some level of brand awareness: That is, an understanding of what makes you unique and distinctive. Brand awareness includes all that your brand embodies and communicates, though your brand values resonate the most with real people. Brand awareness is essential not only for prospects – people just becoming aware they have a problem and looking for a solution – but for existing customers. After the sale, awareness must be maintained so yours will be the first option they consider if the same problem arises again. Even customers who love what you have to offer usually won’t go out of their way to sing your praises unless they have a good reason. A referral program will help them keep their eyes peeled when they run into a friend, family member, or colleague who can benefit from your services. Plus, they’re likely to have some warm feelings left over for your brand when they start enjoying free perks. No matter what your industry or specialty is, there are influencers in your space who already talk right to your target consumers. These influencers, who often have popular blogs and social media channels, can skyrocket your brand awareness overnight – just ask Oprah or Ellen. Identify influencers in your space and reach out with high-quality content they can share directly to their audience. Some of the most popular content on the Web comes in the form of infographics. People love using clever infographics to get an interesting new take on data that could otherwise be hard to puzzle out. When an infographic is intriguing, understandable, and visually engaging, it gets shared far and wide. Just be sure your website URL is prominently displayed so people who see it can follow it home. LinkedIn provides amazing opportunities to burnish your thought leadership credentials – and it’s all but synonymous with B2B prospecting. Starting a LinkedIn Group where you can answer questions and provide advice to target decision-makers is an unparalleled chance to build trust. With consistent effort, this can develop into a robust pipeline for new customers. Everybody loves contests! Although these fun little events are mostly associated with B2C, they can be a great way to inject authenticity and fun into your brand where appropriate. Give people the chance to submit original content like photos or captions and they will take the ball and run with it. Be careful to follow all applicable rules and laws, of course. A podcast is even more convenient – for you and your audience – than video content. Time-crunched B2B decision-makers love to listen to podcasts during commutes and other downtime so they can stay abreast of the latest happening in their field. A podcast could be as brief as 10 minutes but still provide lots of value through news, insights, and insider interviews. Remarketing is one of the most powerful ways to develop brand awareness – it taps into the veritable ocean of Web visitors who come to your site once and then disappear. Normally, you’d have no chance of reconnecting with these folks: With remarketing, however, they’ll start seeing targeted ads for your products and services based on their specific interactions with your site. 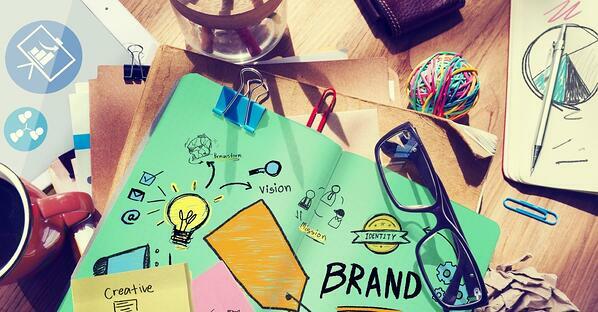 Brand awareness is a key part of your long-term strategy. Every time you work to build it up among an individual, you’re developing visibility across your entire industry. In time, you can become shorthand for quality – like Q-Tips, Band-Aids, or Coke. Of course, B2B brand awareness has many components and can be more complex than B2C. These seven techniques give you quick ways to leverage your digital marketing and solidify your brand in customers’ minds. In the long run, that’s the key to lucrative repeat and referral business.